My youngest lost his first tooth!! I had forgotten how dramatic the first loose tooth can be. It only took about a day and a half to fall out so the drama didn’t last too long. His tooth finally fell out when he was dancing to the Gummy Bear song at school. As soon as the tooth fell out, I had to quickly go into tooth fairy mode and figure out what to she would leave for him that night. 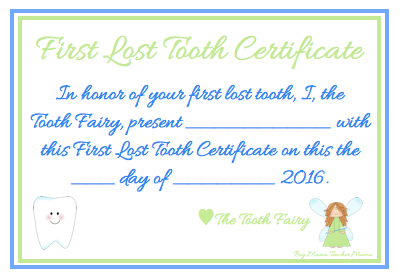 I searched the internet and came across a few versions of this first tooth lost certificate. I thought it was perfect so I created one of my own and today I am sharing it with all of you! 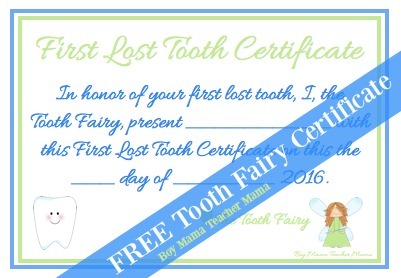 The certificate is pretty small- tooth fairy size of course! After printing the certificate, I rolled it up and tied a matching green ribbon around it. After my son was asleep, I left the certificate with 4 quarters by his bedside. Update: He was rather disappointed that the tooth fairy did not bring him a husky stuffed animal…. 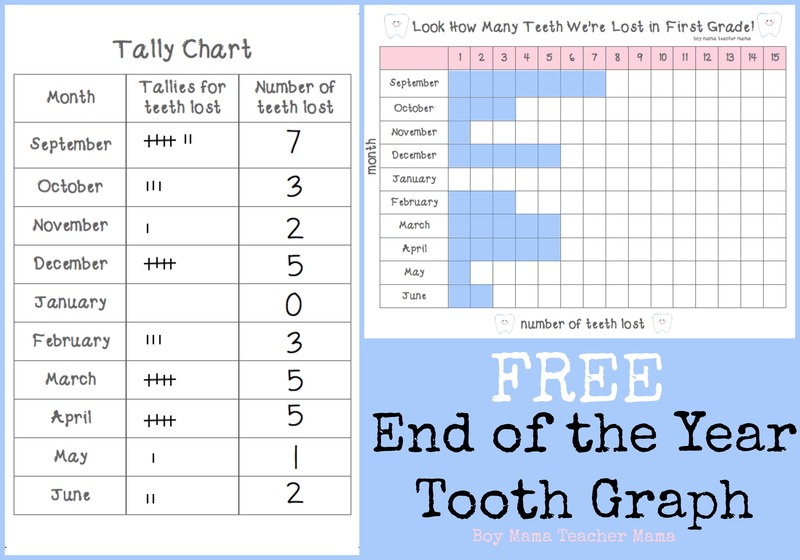 To download the FREE Tooth Fairy Certificate, click the HERE. 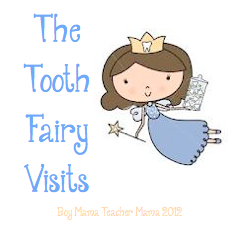 Looking for other tooth fairy ideas? This is adorable!! My son has lost 4. It’s such an exciting time for both of us! I love finding resources that drive his imagination about the tooth fairy. I’d like to share this when I write again about his next tooth lose experience if I may? 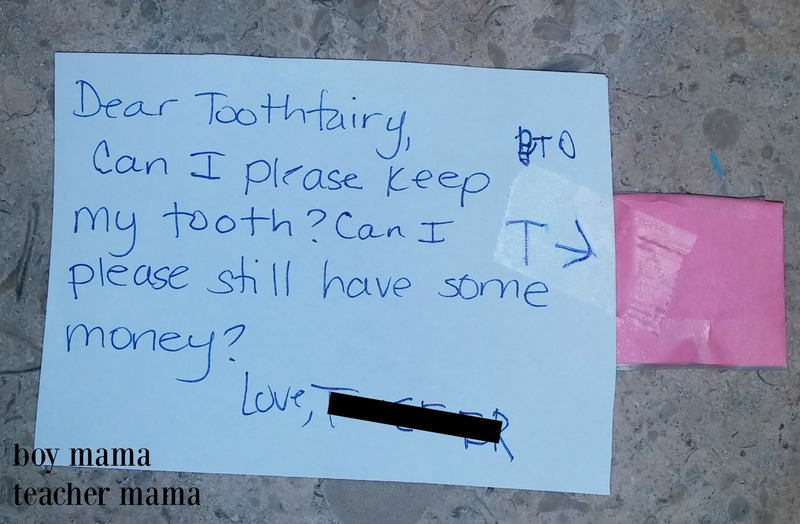 Also there is a letter responding to requests of “keeping teeth” on my last tooth fairy post. BUT if you decide to make one of your own please let me share it! 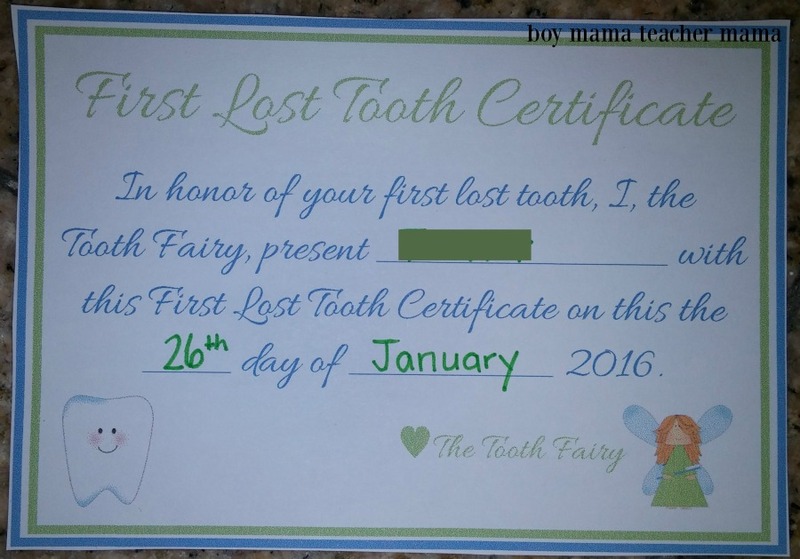 This first tooth certificate is adorable!! Thanks a ton! Feel free to share! I am so glad you like it. It was fun to created.